Holder of three graduate degrees, Elspeth was born and reared in Montreal, Quebec. She came to the United States in 1951 and worked in medical and university libraries before moving into teaching library and information science in 1964. She retired from the University of South Carolina in 1983, married Jim Holly, and moved to Olympia, Washington. 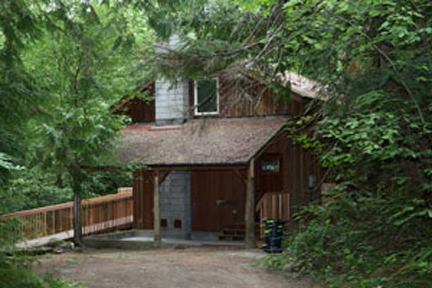 They built their home near Shelton, where Hypatia-in-the-Woods is based, in 1991. That year she went to England and met Dr. Melissa Hardie, visiting her home in Cornwall and learned about the Hypatia Trust, which Melissa and her husband, Dr. Philip Budden, had founded to promote the achievements of women. Hypatia Trust holds a collection of over 15,000 published and personal documentation of the achievements of hundreds of creative women. Their work – and Hypatia’s story planted the seed that grew into the dream that became the reality of Hypatia-in-the-Woods. When Melissa and Phil visited Elspeth and her husband, Jim Holly, at their Hammersley Inlet home, they mutually agreed that the beautiful property and an existing small building would make a fine U.S. extension of Hypatia Trust, Cornwall. From that meeting developed a close friendship and, eventually, Elspeth’s dream of a women’s retreat and resource center. 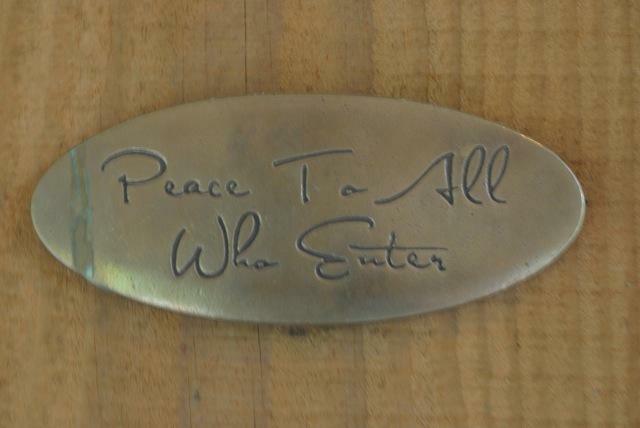 A letterpress printing enthusiast since 1965, Elspeth also founded the Hypatia-in-the-Woods Press that creates publications to help support the retreat center. 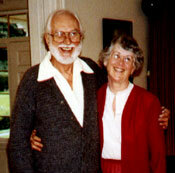 In 1998, after Jim’s passing, Elspeth established a trust to hold her property as the home for Hypatia-in-the-Woods. She formed a board of directors to oversee its operation and guided the development of articles of incorporation and by-laws to govern the new organization. 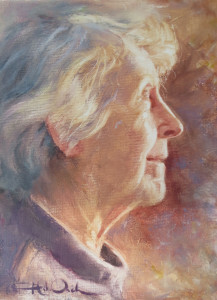 Elspeth acted as the Executive Director until her death in May 2014. During that time she greeted and made welcome numerous writers, painters, photographers, dancers, musicians, weavers, letterpress artistis, book artists and so many more. Now friends, family, artists, writers and many others have stepped in to keep the warm, nurturing atmosphere that is the Holly House and continue to greet, make welcome and share with the community many artists from around the country. We are now accepting applications for residencies in Q3 2019.